Summer kickoff parties begin in June, also known as National Safety Month. 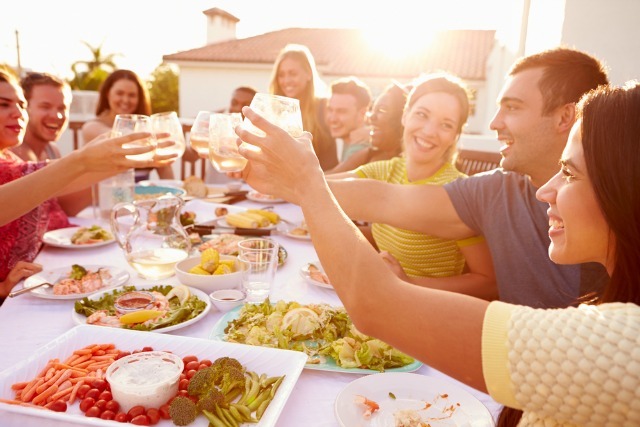 Many families enjoy outdoor barbecue parties together and often serve alcoholic beverages. Recently, private party hosts have come under scrutiny for serving or facilitating alcohol to minors through social host liability laws. Although such laws pertain to all guests at a private party, hosts have responsibilities when their guest is a minor. Although hosts have obvious social responsibilities to all their guests, such as ensuring that no one drives home drunk, host responsibilities to minors are even greater. When adults at a party are busy drinking, it becomes easier for children and teens to sneak alcohol undetected. How social responsibility and associated laws affect alcohol use was the focus of a recent study. The study, published June 1, 2015, in Pediatrics, was conducted by Timothy Naimi, M.D., and his colleagues to establish a relationship between alcohol accessibility laws and teen alcohol use. The researchers examined the severity of laws in the 50 states along with survey data from the Centers for Disease Control and Prevention on high school students in grades 9 through 12 between 1999 and 2011. Substance use problems in teenagers have become an epidemic. According to last year’s summary of the ongoing “Monitoring the Future” survey published by the National Institute for Drug Abuse, alcohol and drug use in teens has declined somewhat over the past five years, but remains high. Only a small percentage of those who need substance abuse treatment are able to receive it. Another study on adults with drug or alcohol problems requiring residential treatment showed that 90 percent of residents treated started using alcohol or drugs before the age of 18, and half before 15. This finding might be due to the fact that habitual behavior of any kind forms and reinforces neural pathways, making it progressively harder to quit with time. Furthermore, it appears that because the adolescent brain is not fully developed until ages 22 to 24, it is more vulnerable to the damaging effects of drugs and alcohol. Aside from brain damage, alcohol puts teens at risk for other dangers as well. Motor vehicle crashes, violent assault and accidental overdose can also result from underage drinking. In addition, more teens try alcohol or drugs for the first time in the summer (in June or July) than at any other time of the year. Adolescents listen when their parents speak to them, although it might not always seem that way. Responsible role models, clear rules and open communication can all serve to provide families with a safe and happy summer. Usually every member of the family feels that something is wrong, although it might or might not yet have been discussed openly. With underage drinking, prompt identification and treatment of any alcohol or drug use problem is critical for the best outcome.